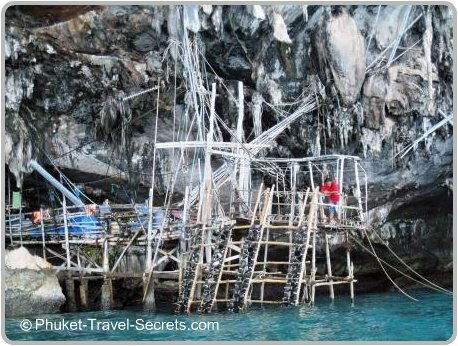 The Viking Cave is a unique sight and one of Ko Phi Phi’s main tourist attractions. 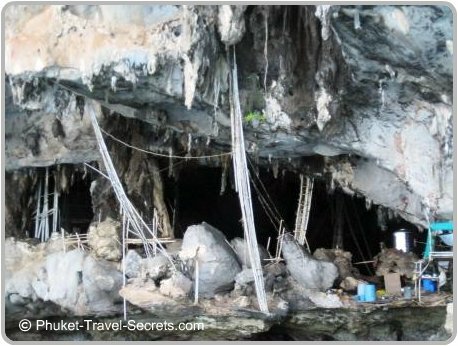 Although this famous cave is no longer open for tourists to enter. 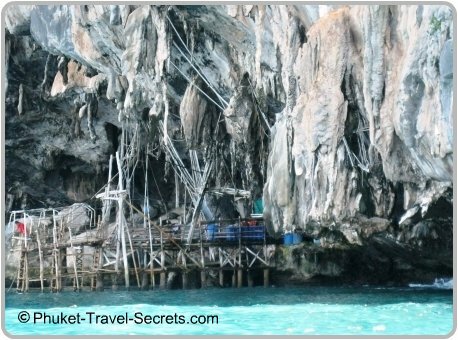 Day trips and tour boat operators usually stop their boats close enough to the entrance of the cave for you to see inside and take pictures. 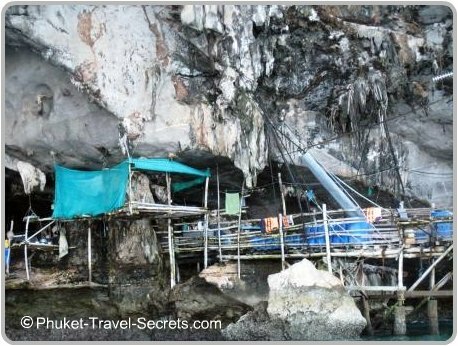 The cave is located north of Piley Bay on the east coast of Phi Phi Ley. 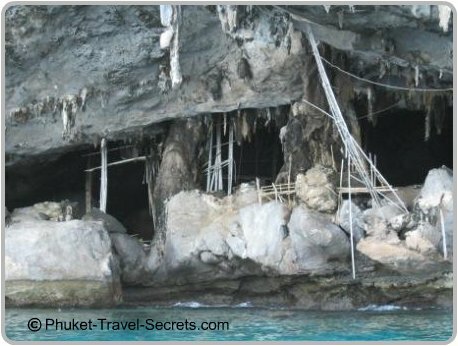 The cave was so named, due to the prehistoric drawings that were found on the cave walls that resemble ancient viking ships. It is believed that these drawings of viking ships were drawn by sea gypsies or pirates who stopped here to shelter from the monsoon storms. The cave is about 3.2 square kilometres in size; with a height of around 10 to 15 metres. Within the cave there are lots of ledges which are inhabited by thousands of birds called swifts. These birds make their nests out of their own saliva, the nests are harvested and later sold to make birds nest soup, a Chinese delicacy. 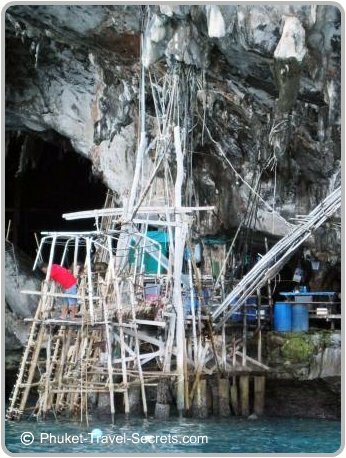 To collect the valuable bird’s nests from inside the cave, local workers risk their lives by climbing unstable looking bamboo scaffolding to reach the nests. The bird’s nests have been used in Chinese cooking for hundreds of years, most often as bird's nest soup. The edible bird's nests are among the most expensive animal products consumed by man. Despite the fact that no one is actually allowed inside the cave, it is still worth having a look because it really is a unique and interesting attraction.